Beers, pretzels, and an inside look at working at Busbud! Two weeks ago, Busbud held a biergarten recruitment event, a beer garden-themed happy hour with the purpose of increasing the awareness of Busbud in Montreal’s startup scene and presenting our open positions. This was the perfect occasion to meet potential candidates, discuss best practices in the tech world, and showcase our awesome team and beautiful office, all in a casual setting. We transformed the office with a few luscious plants and brought it to the next level by serving craft beer from the microbrewery Siboire, meat platters from La Maison du Rôti, and fresh pretzels from Bretzel et Compagnie. All three businesses are located in the same neighbourhood as Busbud, the Mile-End, an initiative to promote local businesses and the community, an important part of promoting our values through sustainability. The Busbud presentation was a great opportunity for guests to understand the impact of each department, and the requirements for the current open positions. Thank you so much to our guests for making this event a success! Our team had an amazing time meeting every single one of you, and discussing our shared passions of technology and travels! 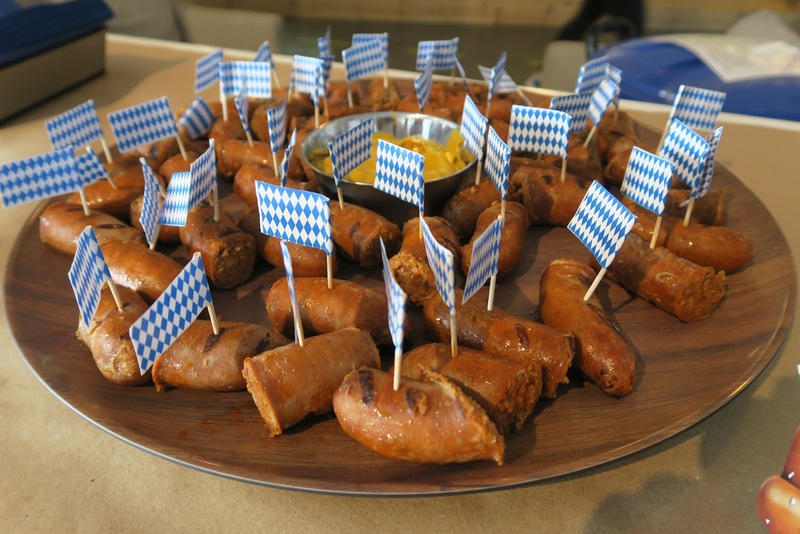 Here are some photos to recap our Biergarten evening. Follow us on our social media pages to receive our latest updates and invitations to the next networking events! We’re always looking to add new members to our Busbud family! Have a look at our Careers Page and check out what it’s like to work for one of Canada’s most promising startups!